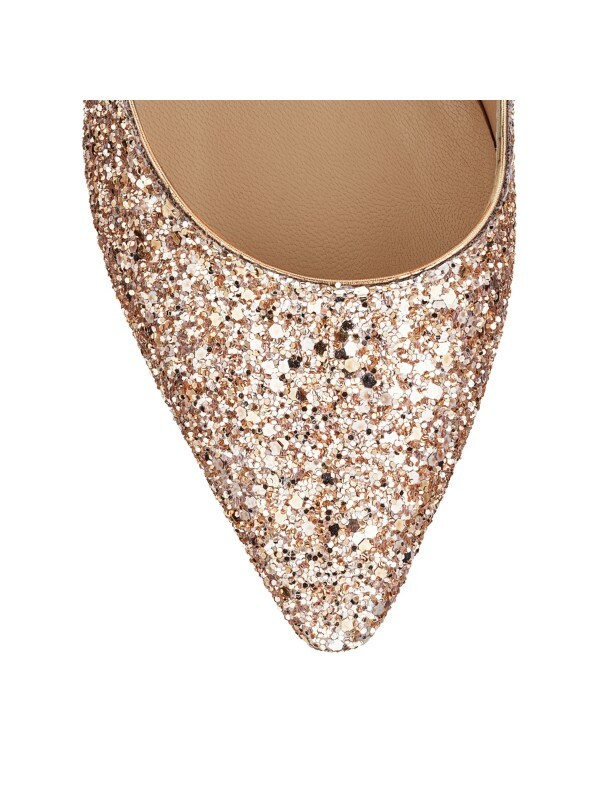 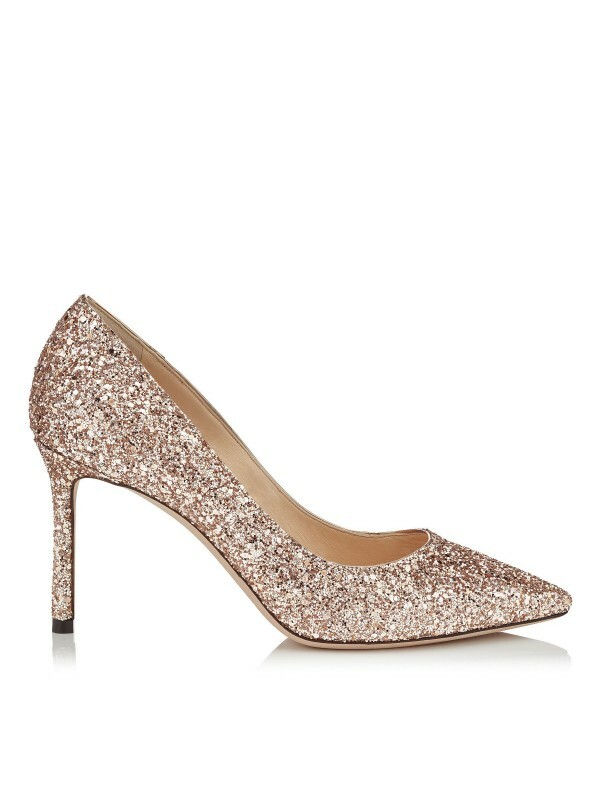 The ever-classic Romy heel is updated for the new season in ballet pink shadow coarse glitter fabric. 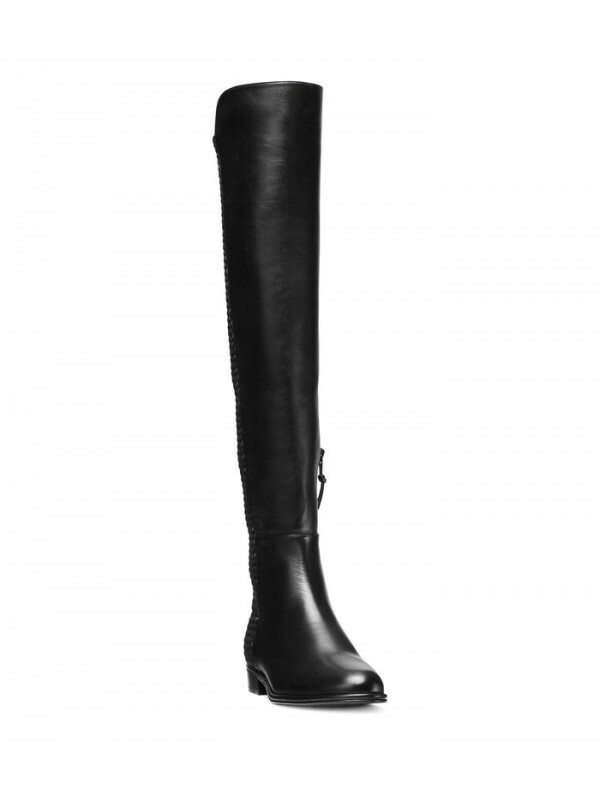 Leather lined with a leather sole, the 85mm heel height provides a leg-lengthening punch. 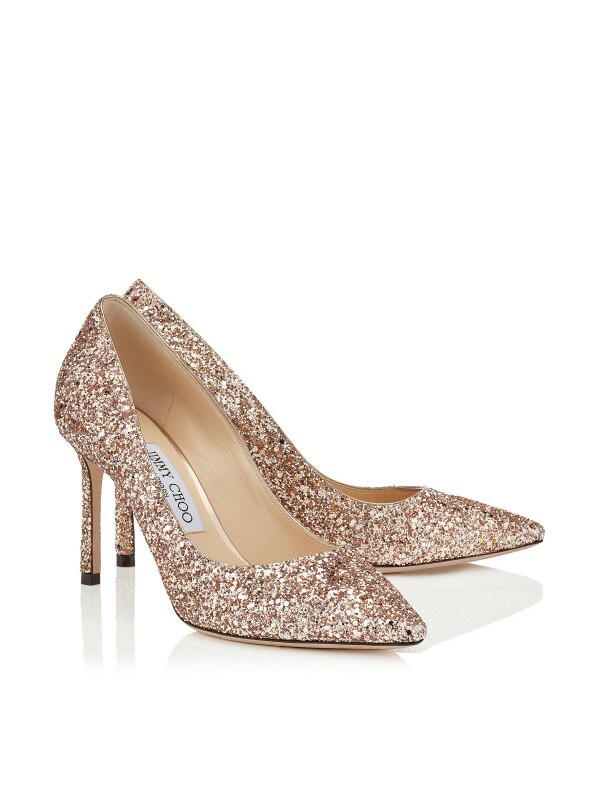 Complement your evening outfit with these heels at your next party invite.